I remember my first visit to Florida’s St. Marks National Wildlife Refuge in November 1986 as if it were yesterday. The early-morning air was tinged with the smell of salt, and a slight haze hung over the marsh, despite a breeze. The air had a clean, dry chill that could only mean the backside of a cold front and, I hoped, a big influx of migrating birds from the north. The sun was rising through a layer of low clouds, and the clacks and whistles of Boat-tailed Grackles serenaded me. I was working my way slowly along a narrow, brushy dike. Open water was on my left, a marshy pond was on my right, and birds were all around me. The northwest wind had pushed a small wave of Yellow-rumped Warblers and Savannah Sparrows to the coast. They flitted nervously along the dike, and I heard the sparrows’ weak, high seet calls above the light rustle of the wind in the leaves. Then a different call sounded — a longer, stronger seep — and I followed the call to find a beautiful immature White-crowned Sparrow sitting alertly on top of a bush. I paused here to study the bird and make a few notes and a quick sketch. Looking beyond the sparrow into the marshy pond, I saw waterbirds gathering as the tide rose. A Marbled Godwit, glowing orange as a beam of sunlight broke through the low clouds, joined a few dozen Willets and dowitchers. I found more songbirds — a Blue-headed Vireo, Song Sparrows, and an Orange-crowned Warbler. Brown Pelicans were plunging into the saltwater bay to my left, but I was distracted by the steady arrival of shorebirds in the pond to my right. The Willets and dowitchers had doubled in number, and the godwit had been joined by six Whimbrels. An American Oystercatcher flew by, piping, but didn’t land, and a Gull-billed Tern coursed near the edge of the pond. A Least Bittern flew gently from one patch of cattails to another. A sharp skidew call drew my attention up, and two Pine Siskins flew overhead. Farther along the dike, the shrubs yielded Ruby-crowned Kinglets, House Wrens, Swamp Sparrows, and an Eastern Towhee, among others. Suddenly, a commotion of urgent low calls erupted from the shorebirds in the pond. I turned to see a Merlin strafing the shorebird flock, as if just for the fun of watching the birds flinch. What drew me to St. Marks in the first place was its reputation for rare species (rare for Florida, at least), and I was hoping to add northern birds like Dark-eyed Junco and Brown Creeper to my Florida state list. Besides finding White-crowned Sparrow and Pine Siskin, I later located Golden-crowned Kinglet. A high point was a Golden Eagle, soaring with one of the day’s six Bald Eagles. I was most impressed, however, and pleasantly surprised by the numbers of common waterbirds, the ease of access, and the outstanding views of the birds. Here were enough herons and egrets so close that I could hear them call and try to work out the differences to distinguish them by voice (a mystery still not fully solved). I could study plumage variation in Boat-tailed Grackles and see Long- and Short-billed Dowitchers together. My notes from that visit comment on amazing numbers of marsh birds: For Pied-billed Grebes, I wrote “150! In flocks! !” along with 2,000 American Coots, 800 Green-winged and smaller numbers of Blue-winged Teal, hundreds of egrets, and 30 Little Blue and 25 Tricolored Herons. In some places I heard and saw more than 50 Sedge Wrens. It was such a great birding experience that I vowed to go back, and I’ve never been disappointed. The refuge is one of my favorite birding places. Each visit brings new highlights. One of the great pleasures of birdwatching is the unpredictability of the birds — you never know what you’ll see or where you’ll see it. There are surprises (you go looking for a Dark-eyed Junco and suddenly an American Oystercatcher flies past), and there are mysteries (how can you find an American Oystercatcher to show to a friend?). The unknown makes birding exciting, and the experience and knowledge you gain makes birding satisfying (when you impress your friend by taking her right to the American Oystercatcher). Among the most mysterious birds, as a group, are the rails. They spend most of their time hiding in dense grass, and no manner of coaxing will make them come out. They hide all summer under the grass, suddenly take off one night in the fall, and migrate hundreds or thousands of miles to winter in a place like St. Marks. The rails are inscrutable skulkers. You can go to a place where they live, but the birds will do what they please in the privacy of their marshy world, and they will be seen only on their terms. St. Marks is a magical place for rails, and I don’t know of a better spot to see Soras. 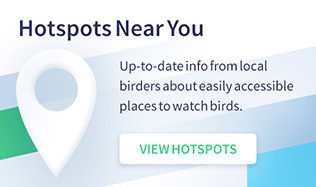 I suspect that it could claim to be the Sora-viewing capital of the world. On my first visit, I noted one Sora and wrote it down without comment, but when I returned in March 1988, I saw 35 one day and 15 the next. And in September 2005, I saw 28 in a day without really trying, including six in view at one time, nearly in a single binocular field. In 1988, with the opportunity to study so many Soras, even to see them repeatedly in flight as they flushed from the edges of the various ponds, I was able to make a number of field sketches to capture the proportions, posture, and movement of the birds in all positions. 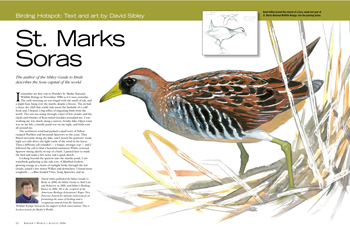 Some of the sketches translated directly into illustrations in my Guide to Birds. Away from the main refuge drive, travel west to see endangered Red-cockaded Woodpeckers on the Panacea Unit and in the adjacent Ochlockonee River State Park. Morning and evening, when the woodpeckers leave and return to nest trees, are best. In the state park, the nest trees are in a grove of longleaf pine near the picnic area at the end of the park road. Short-eared Owls have been seen in recent winters along the Panacea Unit’s Bottoms Road, and marshes are filled with Seaside Sparrows, easy to see and hear in spring and summer. Thickets on the Wakulla Unit shore are good for migrant and wintering birds, plus rarities such as Short-eared Owl and Vermilion Flycatcher. Check offshore for waterfowl and loons, and walk west through the salt marsh to East Goose Creek to look for sparrows, waterfowl, raptors, and shorebirds. Now let’s take a tour of St. Marks. Located 25 miles south of Tallahassee, the refuge encompasses 68,000 acres in four units along the Gulf Coast, including the estuaries of seven rivers. Birders spend time mainly in the St. Marks Unit, where access is primarily along Lighthouse Road, which runs more or less straight south for seven miles from the visitor center to the St. Marks Lighthouse at the Gulf of Mexico. 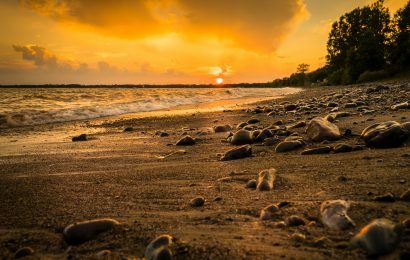 Traveling along the road, you’ll pass through habitats typical of the lowlands of the Florida panhandle, from pine flatwoods and oak hammocks to salt marsh. One of the birding highlights is a complex of man-made freshwater impoundments created by the Civilian Conservation Corps in the 1930s. An open forest of oaks and pines surrounds the visitor center. Sweetgum and maples grow in lower spots, and a small pond is located behind the center. A walk along the adjacent short nature trail (easy walking on level ground, as are all the refuge trails) will give you a chance to learn some of the common trees, which are labeled, and to see year-round birds like Brown-headed Nuthatch and Yellow-throated Warbler and Hooded Warbler in breeding season. 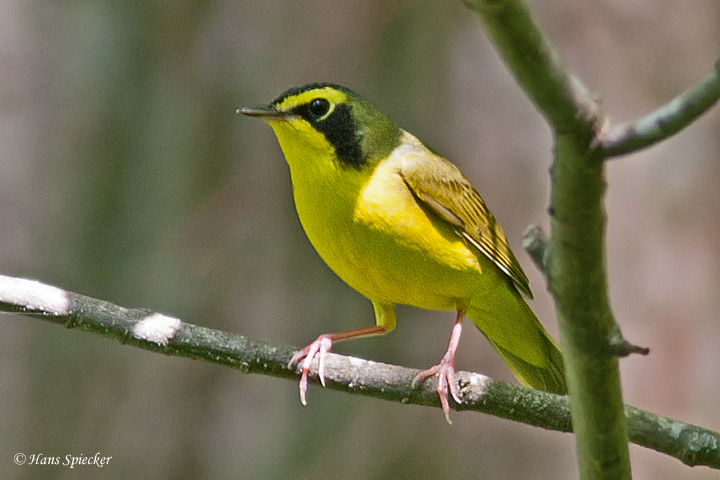 In migration, the wet woods attract many migrants, and mixed flocks of Carolina Chickadees and other songbirds should be checked carefully for warblers and vireos. Less than a mile past the visitor center, the road crosses over the dark, slow-moving water of the East River, where the wide floodplain is densely forested with cypress, elm, sweetgum, ash, and other typical bottomland trees. Look for White Ibis foraging for crayfish in muddy pools in the forest, as well as Barred Owl and Red-shouldered Hawk. Swallow-tailed Kite can sometimes be seen hunting the treetops around here. St. Marks is located 25 miles south of Florida’s capital, Tallahassee. The coastal refuge is made up of four units. 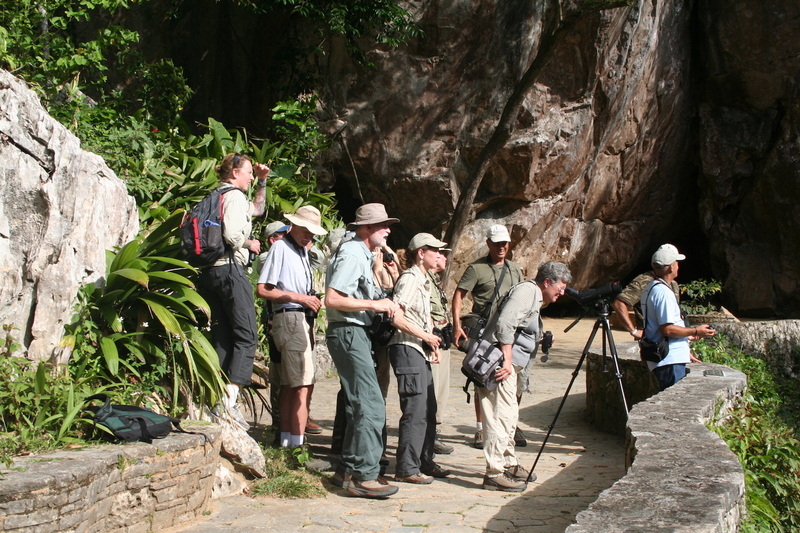 The most popular for birders is the St. Marks Unit. Directions: From Tallahassee, take Highway 363 south to U.S. Highway 98, and to reach the St. Marks Unit, go east on 98 to Newport. Turn right on County Route 59 and travel three miles to the visitor center. To reach the Wakulla Unit, go back to Highway 98 and turn left. After you cross the Wakulla River Bridge, go 1.2 miles, and turn left onto Wakulla Beach Road. The Panacea Unit is about 10 miles from the St. Marks Unit. Take Highway 98 toward the town of Panacea and turn left onto Bottoms Road. The Aucilla River Unit is located off Highway 98 about 15 miles east of Newport. Visitor Center: Open 8 a.m. until 4 p.m. Monday to Friday; 10 a.m. until 5 p.m. on Saturdays and Sundays; closed on federal holidays. It’s a good place to stop for maps, books, and insect repellent. Phone: (850) 925-6121. Entrance fee: $5 per day per vehicle at the St. Marks Unit. An annual pass costs $15. Free with a Duck Stamp or a Golden Eagle, Age, or Access Passport. What to bring: Scope, camera, bicycle. Insect repellent and long sleeves are advisable, especially during the warmer months.Where to eat and stay: Plenty of options in St. Marks, Wakulla, and Tallahassee. North of the refuge, Wakulla Springs State Park has a lodge. For the non-birder: Lots to do in Tallahassee. (It is the capital of Florida, after all.) The town of St. Marks has historic sites, and its marina’s boat ramps provide easy access for canoeing, kayaking, and fishing. The road continues south away from the rich bottomland soil and passes through a broad swath of slash pine, saw palmetto, and live oak hammocks, finally giving way to open marsh. At the edge of the pine woods, a dirt track on the left leads to a helipad, where sparrows like Le Conte’s and Henslow’s favor the dry, grassy habitat. Birders check here for other locally rare sparrows as well. The wetlands that appear first along the road are managed impoundments, created by dikes built in the 1930s. Ring-necked Duck, scaup, and Pied-billed Grebe inhabit the deeper pond to the west. Shallow and marshy impoundments and canals to the east are magnets for egrets, herons, ibises, Blue-winged Teal and other dabbling ducks, Least Bittern, Sora, and Wilson’s Snipe. Wherever exposed mud is found you’ll see shorebirds, the species depending on the season. Trails along the tops of the dikes provide miles of hiking opportunities and excellent birding. The dikes themselves are covered with grass and shrubs and can be good places to see Savannah and other sparrows, Sedge Wren, Palm Warbler, and Common Yellowthroat. The first big wetland along the road is Stoney Bayou. Hurricane Dennis breached a dike at the east end of the bayou in 2005, so the pool, which stretches to the road opposite a boat ramp, is now tidal. Refuge management plans to rebuild the dike and restore the freshwater pool, but in the meantime the pond is excellent for shorebirds and wading birds. Dozens of Snowy Egrets, lesser numbers of Tricolored, Little Blue, and other herons, and even the occasional Reddish Egret or Wood Stork forage in the fluctuating shallow pools. The combination of brackish water, extensive mudflats, grassy edges, and tidal flow means that a tremendous variety of shorebirds — including Red Knot, Short-billed Dowitcher, Solitary Sandpiper, and Black-necked Stilt — forage in close proximity. In September 2005, a Lesser Sandplover, a shorebird normally seen in Asia, spent several days here — the first for Florida and one of few records in eastern North America. Being out in the open in such a setting with so many birds around, you’ll see surprises: a kingfisher diving; a Bald Eagle, Merlin, Peregrine Falcon, or harrier flying overhead; or swallows migrating past. Beyond the impoundments is a small natural pond called Headquarters Pond; ringed with dense, marshy vegetation and home to moorhens, it’s a good place to look for Anhinga, night-herons, and Purple Gallinule. Last fall, I saw a family of recently fledged gallinules here. The young birds called constantly to the adult and comically tripped and lunged as they tried to make their way through the weeds along the roadside. The tall pines around the pond have long held a Bald Eagle nest and are a favorite cormorant roost. After passing a parking area with restrooms (where a loop trail and observation tower are worth checking), the road crosses a stretch of true salt marsh. Here Marsh Wren, Seaside Sparrow, Clapper Rail, and Nelson’s and maybe even Saltmarsh Sharp-tailed Sparrows can be seen — with a little effort. At the end of the road is the lighthouse, built in 1831 and still in use today. The parking lot is at the edge of the Gulf of Mexico — a good spot to scan for gannets, loons, and sea ducks as well as pelicans, gulls, and terns in season. The few oak trees surrounding the lighthouse buildings are magnets for migrating songbirds when conditions are right to generate a fallout. Also check the open flats in the salt marsh to the south of the lighthouse for roosting gulls, terns, and shorebirds at high tide. Wilson’s Plovers nest here, and Nelson’s and the less common Saltmarsh Sharp-tailed Sparrows have been seen here. Every refuge has something unique to offer, and taking a step or two off the well-worn birding path can be rewarding. But the future success of the National Wildlife Refuge System in preserving species cannot rest only with the federal government. It depends on all of us. Here are three ways you can help ensure that future field-guide authors have refuges to explore. Friends: More than 34,000 people last year volunteered with the U.S. Fish and Wildlife Service, the overwhelming majority of them on refuges. More than 200 refuges have a nonprofit “friends” group that provides a fun and easy way to get involved in everything from leading field trips, to running refuge-based festivals, to fundraising, to advocacy for their individual refuges and the whole refuge system. See the “Friends” link at www.fws.gov/refuges for more information. Stamps: The Migratory Bird Hunting and Conservation Stamp, or “Duck Stamp,” raises money to fund wetland and grassland acquisition throughout the refuge system. About $25 million is collected per year, mostly from hunters. At $15 each, and offering free entry for a year to all refuges, the stamp is a good old-fashioned bargain. As a conservation donation, it is unparalleled. About $14.70 (98 percent) of the price of each stamp funds the addition of habitat. It’s simply the most efficient application of your money to conservation. Consider buying more than one: Put one in each car, give them as gifts, or hang them as a reminder of the habitat that supports the birds we love. But the main birding attraction at the lighthouse is a small pond across the road from the beacon — the setting for the experience I described at the beginning of this article. At high tide, hundreds of shorebirds and gulls gather here, along with an assortment of diving ducks in winter (including Redhead and Canvasback as well as both scaup) and marsh birds all year. The pond’s small size and easy access to three sides provide great views, and its position on a peninsula at the edge of the Gulf attracts a lot of species that are scarce elsewhere in the region. 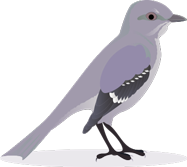 Small numbers of birds are compensated for by variety and by steady turnover. The shrubs surrounding the pond attract migrating songbirds, and like any coastal setting, the dawn movement of nocturnal migrants along the waterfront can be impressive. Many northern species rare in Florida make regular appearances here, and being situated between land and water means that you can simultaneously see species like Marbled Godwit and Blue-headed Vireo, or Gull-billed Tern and White-crowned Sparrow. This is one place where it feels like almost anything is possible, and in fact, one lucky birder happened to see and photograph a Yellow-nosed Albatross at the lighthouse on July 3, 1983 — the only documented record for Florida. St. Marks is a tranquil, peaceful, uncrowded refuge. The quiet, the open habitat, and close views of many individual birds make it possible to study plumage details, watch behavior, or try to work out the vocalizations of different species, something that is usually not possible where birds are too scarce or too far away to compare calls. It’s a site that beckons to be explored on foot but also is easily birded by car. On my most recent visit, I sat on the shore of Stoney Bayou at sunset, watching a flock of about 200 Snowy Egrets, smaller numbers of Tricolored and Little Blue Herons, and a few Great Egrets. They were foraging a little, but mostly standing in the shallow water, preening and calling. Suddenly, as if on cue, they all took off together and flew away over the still water — a beautiful picture with the deep blue twilight sky, pink clouds, and distant hammocks of green slash pine across the marsh. They must be heading to their roost, I thought, and wondered what triggered their group departure. How did they communicate that it was time to leave? Did one bird or many make the decision? I stood, turned to the road, and looked up to see a two-year-old Bald Eagle flapping stolidly overhead toward the spot the egrets had just left… one small mystery solved, and another great birding memory from St. Marks. 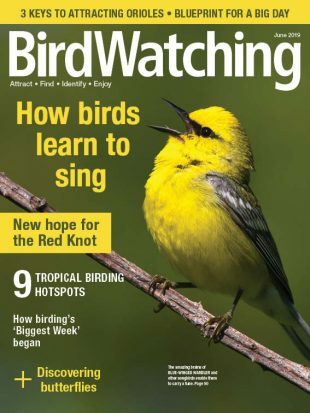 David Sibley writes the column “ID Toolkit” in every issue of BirdWatching. He published the Sibley Guide to Birds in 2000, the Sibley Guide to Bird Life and Behavior in 2001, and Sibley’s Birding Basics in 2002. 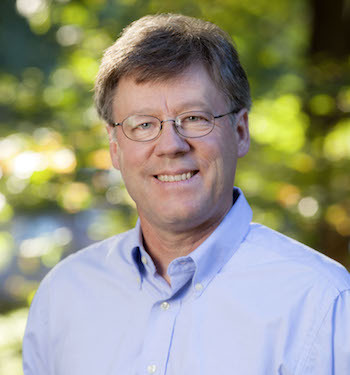 He is the recipient of the American Birding Association’s Roger Tory Peterson Award for lifetime achievement in promoting the cause of birding and a recognition award from the National Wildlife Refuge System for his support of bird conservation.